Donald Clark Plan B: World’s first hologram lecture (not really) but are they necessary? Imperial College, London, claimed to have held the World’s first hologram lecture. What they haven’t mastered is the art of being honest or doing a modicum of research. There have been hologram lectures before, most notably, by Stephen Hawking. But let’s put to one side the usual hyperbole by ‘Women in Tech’ and look at this critically. 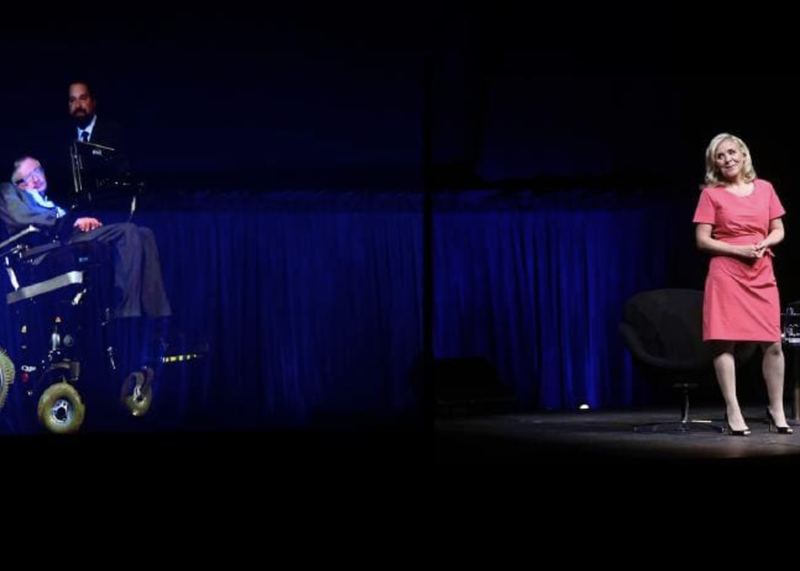 For the Imperial event, 3D figures were beamed in live from the US. 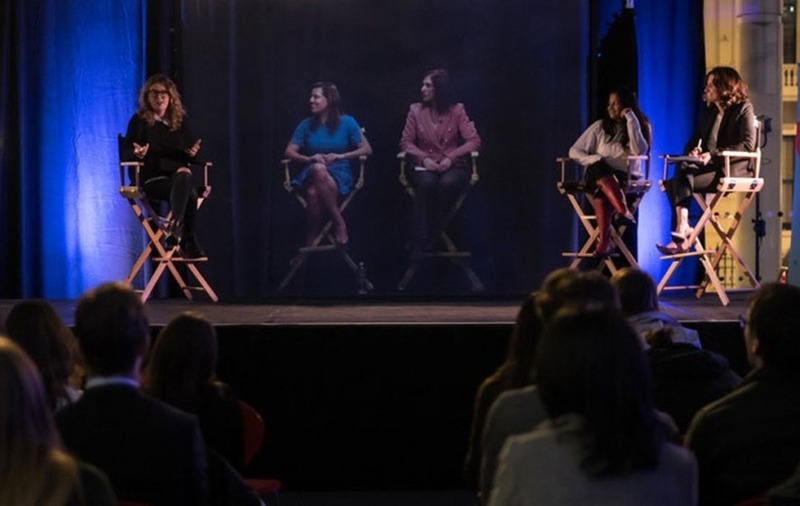 They are projected on to a glass screen, with a backdrop giving the illusion of depth of field and interact with other panellists and the audience. Nice idea but will it fly? Before I start, I’m no fan of slabbing out academic lectures as a method of teaching and learning and would much rather institutions either, recorded lectures, or made sure that the people who deliver them receive some training on teaching and presentation. The number of students who simply don’t turn up is evidence enough that they are a failure. Only 60% turn up, even at Harvard. The very words ‘Lecture’ or ‘Lecturers’ says everything about the appalling state of pedagogy in Higher Education. On the other hand I have no problem with talks by experts (not adjuncts and/or PhD students) who command respect and give students a feel for what it is to be a physicist or psychologist. Lectures as inspirational and motivational events I have no problem with, where world class speakers and teachers do their thing – but few have that presence or possess those skills. The problem with a focus on just the technology here, is that a hologram of a bad lecturer won’t solve the problem. This idea is interesting in terms of getting World Class experts and teachers to talk and teach in institutions around the world. If, as the evidence suggests, it increases presence, that’s great, especially if you feel as though they are really there. But I’m not convinced that hologram lectures are much more than a gimmick. They’re technically difficult to organise, expensive and try too hard to mimic what is, essentially, a flawed pedagogic technique. It perpetuates the traditional lecture format, rather than moving things on. It’s taking something that’s not that good in the real world and mirroring it virtually. On the other hand, we have to probe this a little? Wouldn’t it be easier and simpler to use video, either Skype or Zoom? These have tools that supplement the experience. For example, Skype translator can translate voice, in real-time, in 10 languages. Its text translator works in 60 languages. For global transmission, this makes sense. Lectures as webinars make even more sense, as the supplementary tools allow for as much interaction as you wish and it is scalable. It is rather odd that educational institutions don’t make more use of this form of delivery. Questions, chat, polls, links and many other features are available in this type of software. It talks some skill to do this but it is a skill worth learning as it results in better teaching and more importantly, better learning. Full immersion gives the advantage of full immersion and full attention. One of the most compelling features of VR is the fact that you really are in that environment and the brain finds it difficult to jump out or be distracted. We know that attention is a necessary condition for learning, so this could be the optimal solution. One problem is the difficulty of taking notes, although speech dictation would be possible. All technologies have their affordances. We need to identify what we want, then use the best technology available. Holograms seem like overreach. If students aren’t even turning up, let’s reflect on that first. If we’re not recording lectures, despite the overwhelming evidence that they are good for students being taught in their second language or those who are absent due to illness. In addition, learners can stop and rewind if they miss something, want to find something out or want to take more detailed notes. But the biggest argument is that they can be used for learning through repeated use and revision.